The app has a lot of features and if you are familiar with the app, then you would know that the snaps shared on Snapchat app gets deleted automatically within a few hours without any trace. So, unless someone takes a screenshot of your snap, there is no way to find it. You can use the app on your computer by performing Snapchat online login but you need to be careful with what you share as someone might misuse your uploads. In this article, we will see how to download Snapchat for PC, create an account and login to Snapchat from your computer. There are many amazing features in the application that makes it easy for you to share your pictures, short videos or create complete stories to share with your friends and followers. If you are currently using Snapchat app or you have used it in the past, then you would know all about it. However, if you are about to download Snapchat for the first time, then check out some of the best features of the app. With the app installed on your phone, you can snap a picture with a simple tap and add an emoji before sharing it on your profile. If you want to talk to your friends on Snapchat, then there is a chat feature as well that lets you send and receive text messages and have a chat with your friends. Using the Stories feature, you can keep up with all the updates from your friends and live events. You can also watch live events using the Snapchat app. Using the Discover feature, you can explore the stories from the top publishers from the world. The pics you share on Snapchat will be removed automatically within a few hours. However, don’t share anything personal thinking that it will be removed. Someone could save the image by screen capture or camera. So, be careful when you share something on your profile. These are some of the features of the application. Now that you know all about it, we should see how to use Snapchat online to create an account and then perform Snapchat login. Before you can create your account, you need to first download the app on your computer. 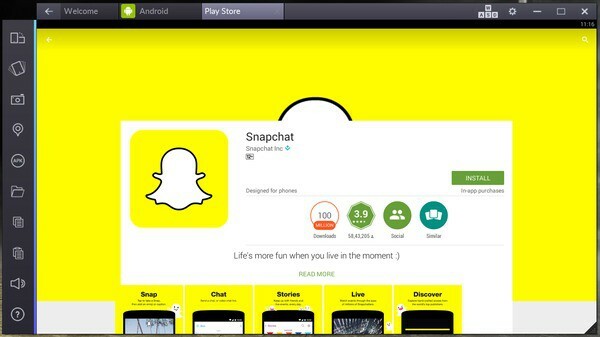 To do that, you need to use an Android emulator software and using that, you will be able to download Snapchat for PC. Follow the below steps to know how to install the app on computer. Once installed, open it and using your Google account, login and sync all the apps. 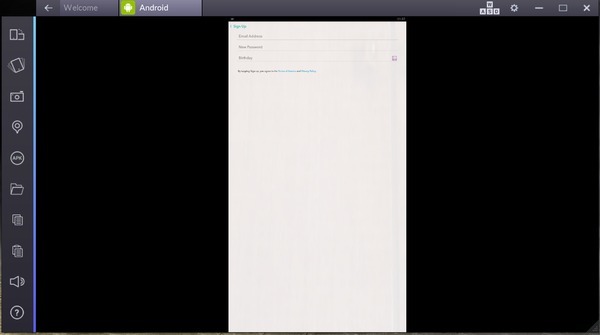 Setup the emulator so that you can use it to install Android apps. Now, go to the dashboard and click on the Search icon on the top. Type in “Snapchat” and hit enter. You will see the app appear in the results below. Click on the icon of the app and you will be redirected to the official Google Play Store page. Click on the Install button and a pop-up will appear asking for various permissions. Click on the Accept button to grant permissions to the app. Once the download process is complete, the app will be installed on your computer. Now that Snapchat is installed on your computer, you can learn how to login to Snapchat online from your PC. 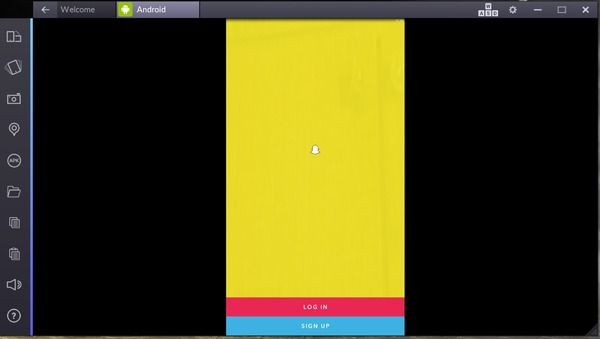 To open Snapchat on your computer, go to BlueStacks and click on the All Apps tab on the top-right corner. You will see all the apps installed on your computer and Snapchat will be one of them. Click on the app icon to launch it on your PC. When the app opens, you will see a welcome screen with two options – Login and Signup. If you are using the app for the first time, then click on the Signup button to create your new account. When you click on the signup button, you will be asked to enter your email address, choose a username, enter your birth date and enter a strong password. Once you enter these information, click on the enter button and follow the steps to complete the signup process. Don’t forget to verify your account email address with Snapchat. Once the signup process is complete, setup your profile and add a picture of yourself as well. If you already have an account and you want to login, then you should click on the Login button on the welcome screen to perform Snapchat login. On the next page, enter your username and password and you will be able to access your account online on your computer. You can start sharing new photos and videos and stay updated with everything that your friend are sharing on the platform. 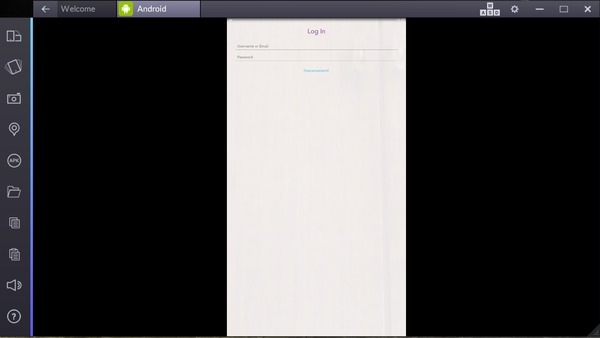 This is how you can perform Snapchat online login and signup from your computer using an Android emulator. I am pretty sure that you will really enjoy using the app on your computer as it gives you a better experience. I hope that you liked the article of using Snapchat online. If you liked it, then please share it with your friends so that they too know how to perform Snapchat login and signup from their computers and keep visiting AndroidAppsOnline for more such awesome articles.